Since 1921, Camp Allen has been a place where visions are born, hearts are restored, and spirits are renewed. Our deepest desire is to preserve and grow the property, facilities, and programs of Camp Allen so that it can continue to be a place that provides transformative experiences for generations to come. We ask for your help to achieve this dream by contributing to one of the funds listed below. Give a gift that impacts by donating to Camp Allen today! The Summer Camp program has always been the heart of Camp Allen. This fund enables campers to attend a life-changing week of camp with partial and full scholarships. Watch your gifts at work. Children of incarcerated parents attend a week of Summer Camp with a program tailored to the challenges they specifically face. Camp Good News campers rely on 100% scholarships to attend camp. The Discovery Program provides hands-on educational experiences in our 1,100 acre outdoor classroom. These funds give disadvantaged schools the opportunity to participate in this incredible program. 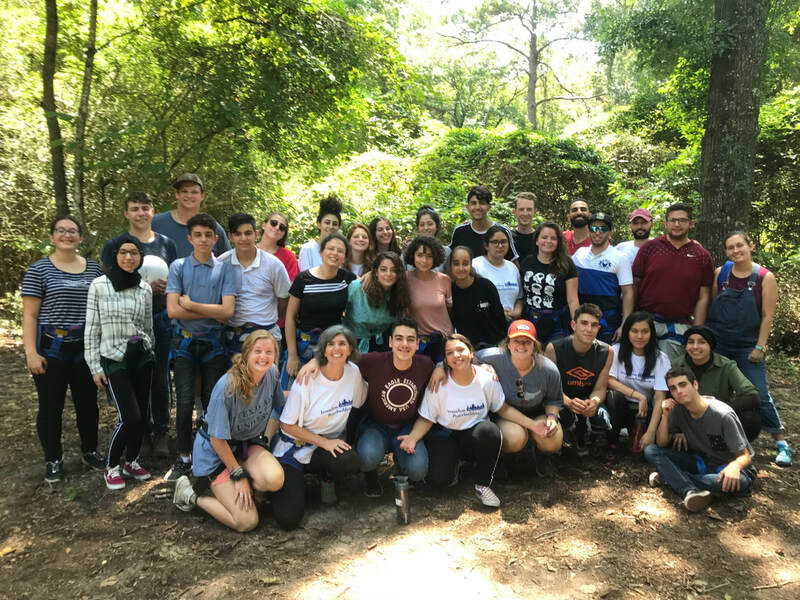 Muslim, Jewish, and Christian children from the Middle East unite for an interfaith peace camp enhanced with summer camp activities. Donations help cover travel expenses, programming, and camp costs. Camp Allen will celebrate 100 years in 2021. This capital campaign will ensure the camp remains in a strong leadership position for years to come featuring 21 important projects. Learn more. Give an undesignated gift to be ​used where it is most needed. The mission of camp comes to the city for a night to celebrate God's goodness and raise support for scholarships and programs. Camp Allen is a 501c3, tax exempt organization. Gifts are deductible to the full extent of the law. Federal ID # 74-6016479. For questions regarding your gift, contact us at 936-825-7175 or laurend@campallen.org. Are you in need of scholarship assistance for your child to attend summer camp? Click here to learn how to apply.